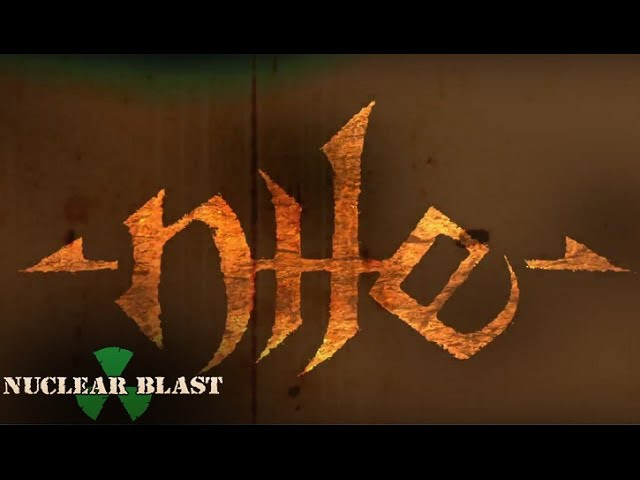 Home > News > NILE Announces A Vile Caustic Attack Tour With Special Guest TERRORIZER! Egyptian themed technical death metal champions NILE are proud to announce their 2019 A Vile Caustic Attack tour with special guests American grindcore legend, TERRORIZER. The 39-date trek kicks off at the Loft at Centerstage in Atlanta, Georgia on November 1st and will conclude on December 14th at The Firmament in Greenville, South Carolina. NILE will be touring in support of their upcoming new album. Stay tuned for more updates about the anticipated ninth album. 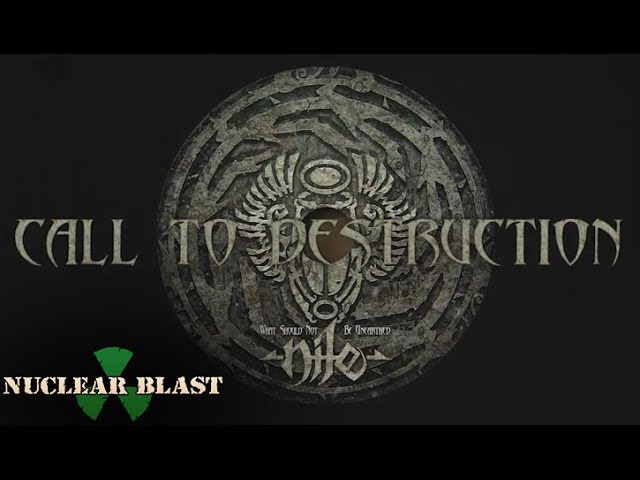 Check out the official lyric video for “Call To Destruction” on the Nuclear Blast Youtube Channel. Tickets for the tour are now on sale at Enterthevault.com. Founded by Karl Sanders (guitars, vocals), Chief Spires (bass, vocals) and Pete Hammoura (drums) in 1993, NILE released their first EP Festivals Of Atonement (1995) through their own label, Anubis Records. The band’s second EP Ramses Bringer Of War was released via Visceral Productions.Dallas Toler-Wade (guitars) joined the band in time to support the release of their first album Amongst The Catacombs Of Nephren-Ka (1996), with NILE touring the US as support of the famous MORBID ANGEL, and Europe as support for VADER and SIX FEET UNDER. The debut was followed up by two other blasting records – Black Seeds Of Vengeance (2000) and In Their Darkened Shrines (2002). Drummer George Kollias joined the band in 2004, becoming the 4th legendary drummer to occupy the drum throne of NILE. Several long months of intense songwriting and pre-production by the band culminated in the release of their paramount album Annihilation of The Wicked (2005). NILE’s continuing success led the band to signing with Nuclear Blast; releasing NILE’s NB label debut finally in 2007, called Ithyphallic. A two month long blitzkrieg tour as support on Ozzfest in the USA brought the band to the attention of a much wider, diverse audience; gaining new NILE fans across a wide demographic and expanding the band into new touring opportunities worldwide.On August 28th unleashed their eighth bone-crushing masterpiece to the masses now – What Should Not Be Unearthed.via Nuclear Blast Records. In February 2017, the band was gearing up for their U.S. trek with label mates OVERKILL when they announced the departure of long time guitarist Dallas Toler-Wade. Taking the helm as the new guitarist was South Carolina’s extreme metal guitar shredder Brian Kingsland (ENTHEAN). No stranger to the scene, Brian was tapped to audition by Brad, who had frequented several of ENTHEAN’s show. NILE will guide you down into the depths of their ominous catacombs to torture your souls with the darkest tunes. The band is tentatively scheduled to release its next offering in 2019. Before legendary death metal drummer Pete Sandoval recorded MORBID ANGEL’s first album, 1989’s Altars of Madness, he performed on two demos and a split album with his original band TERRORIZER. Today, the group’s 1989 full-length debut World Downfall is still considered a pinnacle for death metal and grindcore, featuring impossibly fast blast-beats and double-bass drumming along with a blitzkrieg attack by late guitarist Jesse Pintado (NAPALM DEATH), and ex-vocalist Oscar Garcia (NAUSEA). The 1989 lineup was rounded out by Sandoval and then-fellow MORBID ANGEL bandmate David Vincent on bass. Over the next 23 years, Sandoval took time between MORBID ANGEL albums to continue working withTERRORIZER, recording two more cataclysmic full-lengths, 2006’s Darker Days Ahead and 2012’s Hordes of Zombies. And now, another six years down the burning highway, TERRORIZER are back with Caustic Attack, their heaviest and most eclectic album to date. TERRORIZER’s Caustic Attack is available on CD, LP, and digital formats. Order your copy today at THIS LOCATION.